Elizabeth II ascended the throne after the death of her father, George VI, on 6 February 1952. The coronation was held more than a year after the accession, on 2 June 1953. 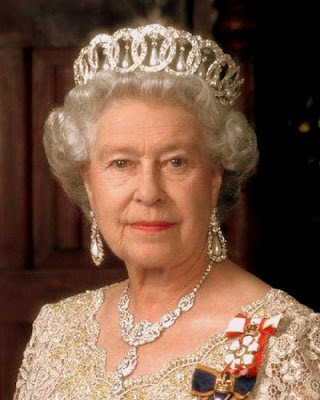 Her Diamond Jubilee will be celebrated this weekend. She has served longer than any British monarch except Queen Victoria. I once, entirely by coincidence, stood within a few feet of the Queen as her car paused as it left through the gates of Holyrood Palace into Edinburgh. I'm convinced we made eye contact — at least she smiled toward me and I was the only person there that early in the morning.